SEOUL, SEOUL, KR, February 14, 2019 /EINPresswire.com/ — Blockchain has been selected as one of 10 promising technologies for a new e-government plan in South Korea. The Ministry of Public Administration and Security is constructing a platform that will be replacing all physical administrative documents with electronic certificates using an e-wallet. To prevent tampering and to verify authenticity, blockchain technology will be applied. Local blockchain companies are working on developing software that can be used in real life. 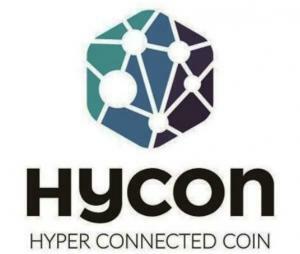 HYCON project with their mainnet running successfully introduced smart contract functionality that has been recently added to their private network. HYCON private blockchain, known as ‘HYCON Enterprise Platform’ with smart contract will be targeting the service market in the blockchain industry. A developer of HYCON explained, a new category called ‘data’ has been included on top of old smart contract structure which is composed with five groups such as ‘to, from, amount, fee and nonce’. As the smart contract on HYCON is an EVM module of Ethereum which is already proven to the market. In the technology implementation video, they introduced the journey of the development including difficulties in the project, the solution process and the structure how the new block can be created in the network. Using the SPECTRE algorithm on the network will empower HYCON to no longer be single linear chain like Bitcoin or Ethereum. The network structure will be DAG (Directed Acyclic Graph) which overcomes the limitation of a single linear chain. The SPECTRE algorithm enables the solution of conflicts within a DAG structure. It allows more than one ancestor block for a new block that helps faster block creation. Taewon Kim, the CEO of Glosfer — the mother company of team HYCON — said “This is the first SPECTRE algorithm that’s been successfully implemented in the world”, “HYCON Private Blockchain with Smart Contracts is about to be completed”.